Fold-top plastic bags are a lunch bag essential. 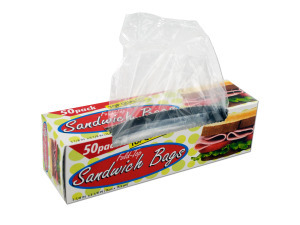 Use to pack sandwiches, potato chips, candy, peanuts and more! There are 50 bags per box. Each bag measures approximately 5 7/8" x 5 7/8".